"I like to say that ocean cruising is a drinking man's cruise. River cruising is a thinking man's cruise." We will never talk down to you or insult your intelligence. This is a site for adults who do not need advertising hype, phony "user reviews" or PR double-speak. We use only the industry's most respected professional sources for information. Unknown "users" will never be quoted. The bulk of our material is sourced from leading industry reports and from the most respected travel journalists. Our evaluations are never based on popularity polls or self-appointed “critics”. We have been named "The World's Top River Boat Specialists" by the Editors of Conde Nast Traveler Magazine. Ours is the only firm in the nation to achieve this recognition, regarded as the equivalent of a restaurant receiving three Michelin stars. In fact, it is statistically harder to make the Conde Nast "World's Best Travel Specialists" list than it is to gain admission to Harvard University. We have also been named the “Nation’s Top European River Boat Specialists” by Wendy Perrin, the country’s most authoritative consumer travel voice. Our Managing Editor, Richard Bruce Turen, is the Senior Contributing Editor at Travel Weekly, the most respected travel industry publication in the nation. He writes a regular column on industry affairs. Our firm, Churchill & Turen Ltd., has been named "World's Best Small Luxury Cruise Specialists" by Conde Nast Traveler for the past eleven years. Collectively, our firm has won more "World's Best" accolades than any other travel firm in the United States. We have been named one of the nation's Top Ten Personal Vacation Planners by Travel + Leisure Magazine. We have been featured in articles in the New York Times, USA Today, Consumer Reports, and The Wall Street Journal. Our staff has appeared on CNN, ABC, and NBC News and on National Public Radio. Members of our staff have lived in Europe, traveled her waterways, and worked for Europe's leading cruise lines and small ship operators. We are celebrating our 30th year in business. We are proud members of the $21.3 billion Virtuoso Network, the top producing agency group for the world's leading River Boat companies. In 2015 and, again in 2017, we were named the Top Producing Consultants in the entire worldwide Virtuoso Group. Look around our site. Do you notice anything unusual? We do not accept advertising or payment from any river boat company reviewed on our site. We are a not-for-profit, ad-free, consumer-oriented site and we will never try to sell you or hype you. Every river boat product is different. They are not all excellent. We assume that visitors to our site are intelligent consumers and that you will know what to do if you are in agreement with our approach, find our knowledge of river boating of value, and wish to work with us on a zero-cost basis. We charge no fees of any kind in conjunction with the booking of river cruises. If you book with a river cruise company directly, you will still be charged our fee, as it is built into every fare. Riverboatratings.com is a subsidiary of Churchill & Turen, Ltd.
Riverboatratings.com is a collaborative effort designed to offer the vacation consumer real world advice without exaggeration, deception, or sales bias. It is the ultimate insider’s view of how things really work, written by an award-winning team of travel consultants and journalists. We are the owners, managers, and staff at Churchill & Turen Ltd.
MY HUSBAND BOOKED US ON A VIKING LONGSHIP ON THE RHONE AND I’M A FOODIE. AM I IN TROUBLE? Q – Unfortunately, I left me husband get away from me for about an hour last Saturday and he came home with a Viking River confirmation for a cruise in France that includes the Bordeaux. I love exploring different cuisines but I am expecting bland food given the age groups on these river groups. God forbid the chef should toss some salt and pepper on the dish! It was thoughtful of my guy but I wonder how frustrated I will be with the food given that I watch the Food Channel virtually all day. A – Not sure that watching the Food Channel really qualifies you as a “Foodie”. We think you have to actually go out and enjoy fine meals while also doing some cooking at home. You may be pleasantly surprised. Viking River is the largest river cruise line, by a wide margin, so you tend to read more complaints about the line on self-appointed “critic” boards. The fact is that you will have ample opportunities to step off your boat to explore local cafes, markets, and restaurants on your own. You will have the opportunity to interact with locals and you will find a surprising numb of food oriented tours off the boat. Just like tour operators and cruise lines, river boat operators are constantly trying to find affordable locally sourced ingredients. Viking offers European cereals and locally cured meats and cheeses to its guests. But you will also find Scandinavian offerings such as pickled herring and smoked salmon. You will also be able to dine outdoors in the Aquavit Terrace. We don;t want to ruin any surprises but when you get your list of available shore excursions you are going to see that you can go truffle-hunting, meet with local vintners, tour an oyster farm, and spend some time in a wonderful covered food market. Now, unlike the top-rated lines, Viking will charge premiums for many of these experiences. But you should know that if you are willing to pay for special shore excursion foodie experiences, they are available. As to the idea that river boat food prepared on-board is intentionally bland – you are essentially correct. Half of the passengers will likely be on a salt-restricted diet – the other half should be. Q – We are looking for some priority access advice. We would never consider anything less than the best when it comes to our first river cruise. I just could not abide a 150 square foot cabin – I would need at least double that to feel any sense of comfort and luxury. Your excellent site makes me think I am Tauck material. But you have implied that their top suites can sell out up to a year in advance. I want a prime season cruise In early September on their 11-night Monte Carlo to Paris in 2017. My local travel agent says simply “the books aren’t open”. Is that accurate, is there a strategy you all use, and, I suppose, am I in need of a new travel agent? A – Contact us and we’ll take care of everything. 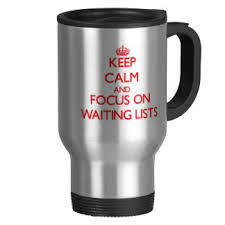 You can be placed on a priority wait-list for 2017 immediately. You will receive a wait-list confirmation and you will be assigned the space you want on the day the books officially open. You will not need to put up any cash in advance. We don’t know your neighborhood travel agent but in general we would point out that the word “agent” is a major clue. The word refers to being “agents” of the airlines. Most travel agents spend a majority of their time making air arrangements. You need a cruise and river cruise consultant to handle your booking. You should not be charged any fees for their services. Q – Do you know anything about an accident that occurred to the Viking longship, Hermod, in the early morning hours of June 7, 2015 on the Rhone River? Can this accident be verified? The Viking cruise, “Portraits of Southern France”, scheduled to begin on June 7, 2015, was cancelled and all those who arrived for the cruise were told that the Hermod, while being brought to Avignon for the beginning of our cruise, struck a bridge support in a wind storm and was severely damaged. My wife and I were among those who were affected and had to fly back home to the USA. If you cannot provide information, can you refer us to the appropriate governmental/maritime authority who would have this informatIon? A – So sorry to hear that you were so badly inconvenienced by this accident. River boats generally continue sailing during inclement weather and this accident appears to be the result. The damage is not being exaggerated and repairs are required. The facts are, in general, as you report them. We see no need to contact any maritime authorities in Europe. That would be, likely, a frustrating experience. In the States, Viking is a member of Cruise Lines International Association but they act more as a marketing organization for the member lines. Writing, as a one-booking entity to the line’s Customer Service people might earn you a future cruise credit but you represent little clout with a line as large as Viking River. Your cruise consultant is your true advocate in this kind of situation. Your agent will be working within the Viking sales structure to secure the best possible financial relief on your behalf and to get you all of the information related to this accident that you are requesting. You have paid your agent a commission of at least $1,000. They need to earn it when things don;t go as planned. Your travel consultant hopefully belongs to a consortium group representing millions of dollars in annual revenue. As such, they will have clout that you as an individual will not have. You need to contact your travel agent and you should expect their cooperation and advocacy. Please advise the outcome as we are anxious to see how Viking reacts to your travel agent’s efforts. Again, so sorry this had to happen to you. Q – Retiring (I hope) in 2016 and will be traveling through Italy from Sept 15 to about Sept 30, 2016 with another couple. Flying out of Chicago (Oak Brook) My wife and I plan to take the train to Lucerne for a couple of days after leaving Rome (been there before and loved it). Thinking of taking a river boat cruise around Oct 1st and flying back out of Amsterdam. Since I will be retired – I have plenty of time. Is this our best option or should we look for different itinerary ? A – It is tough to make snap judgements without all the facts. Donald Trump can do it but we can’t. Given the fact that you want to spend time in Switzerland, we would look at the itineraries that begin or end in Basel. Uniworld, AMA, and Viking River have good itineraries in the region. We would suggest you look carefully at AMA’S Enchanting Rhine program that gives you two nights in Zurich and two nights in Lucerne mid-cruise. Q – I am starting to plan my 50th birthday party on a river cruise in Europe. I will have approximately 6-8 persons traveling. We have 2 singles (issue). 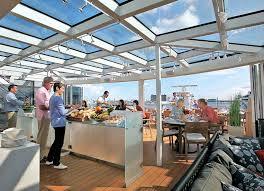 I am looking for the most economical cruise that can handle our couples and singles. I was thinking of Nuremberg to Budapest but with the influx of people fleeing bordering countries and flocking to Budapest, I do not feel this will be a good fit. I love scenic, walking, art and wine. Some of us are very active while others are slow movers. 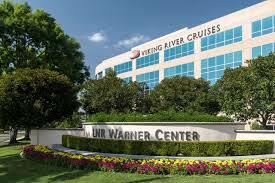 I am also an RCI timeshare member and can get discounted rates with most of the water way cruises. I would really appreciate any and all help. Again this is for the big 50…. Thanks. 01 – Research the lines with whom your RCI timeshare will get you a substantial discount. It is likely you will need to book it through them to get the discounts. 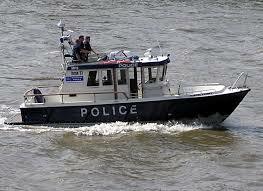 Be cautious – it is possible you will be talking with someone who thinks a riverboat is some sort of canoe. 02 – If they will allow you to choose a consultant, we would suggest finding someone locally who really knows river boats well. You should meet with them face-to-face to plan this special event. 03 – Pay less attention to the fare for doubles and look carefully at single rates. If the single rate is not attractive, and you pro-rate, the fare will be much higher for everyone. Do not expect to earn a free cruise. That begins with 15-20 guests. River boats will not grant free trips to any group below that level. Don;t negotiate this personally. let your consultant deal directly with the line. 04 – You are seriously overreacting to the situation in Budapest. If you are traveling next year, the situation should be a non-issue as Budapest is just a passing point for the refugees, who are headed further north. 05 – We do like the Nuremburg – Amsterdam Routing. Basel to Amsterdam is also a nice itinerary. Good choices. 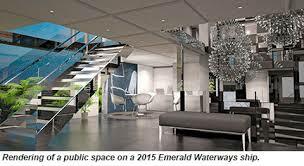 06 – Your consultant will make several recommendations but, in terms of best value, we would suggest you look most carefully at Emerald Waterways, the budget brand belonging to Scenic. You should also look at Avalon and Viking River. Those three lines will get you the best pricing. Some of the very best values will be found on Avalon and they have several lovely new-builds. None of these lines is inclusive so your actual cost will not be determined until you get back home where you can get suitably depressed when the final bills arrive. We hope this outline will help you organize your approach to this important trip. Try to select a consultant who is a member of one of the two or three most respected consortium groups. They will have more clout than agents who don;t as they will likely represent millions of dollars in consortium bookings. Key question to ask: What arrangements will my boat arrange for “The Walking Dead” – as some industry types jokingly refer to slow walkers. Make certain there are enough bus tour overviews to accommodate the slow walkers in your group so they don;t feel left behind. NO ONE SEEMS TO HAVE HEARD OF THIS LINE? in your reviews and some friends have asked us to join them next summer on a river cruise. They did volunteer that Emerald was a “great deal”. Any thought on the line would be appreciated as we don’t believe a word on the so-called “critic” sites. A – You haven;t heard much about Emerald for two reasons. They are a new brand and just started operating on Europe’s waterways in 2014. They are also the “budget” arm of Australia-based Scenic, one of our top-rated lines. Emerald is not very well known and your travel agent may have a little trouble booking them. But the value your friend mentions is essentially true. Emerald comes in with some very attractive pricing. The down side, we suppose, is that your fellow travelers may be budget travelers from Australia and other parts of the English-speaking world. So Emerald will likely (we certainly want to give them more time before passing any judgements) attract a lower socio-economic demographic. The ships are actually extremely attractive. They have a sliding glass roof, light filled-terraces,and some lovely panoramic balcony suites.The design is contemporary. Guests get free Wi-Fi and tipping is included in the fare. Wine of dubious lineage, beer, and soft drinks are included. Bar drinks, however, are not and many of the better shore excursions are sold at a premium. This is not an inclusive product. Our bottom line is that you consider Emerald if you are on a tight budget and would enjoy traveling on a boat where Americans are a distinct minority. Donnie Trump, we suspect, would not book Emerald. ANY REASONS TO AVOID THE UNIWORLD GANGES VOYAGER 11? Q – We’ve done Uniworld and loved it. Their Rhine program was really well planned and we love the beautiful decor and, what we felt, was excellent food. We’ve traveled throughout Europe since my retirement on cruises, river boats, and both Insight and Collette Tours in Europe. Our son keeps telling us that we’re not well-traveled unless we see some of India. The other day we received a mailing from Uniworld that offered some special rates, I suppose if we book it through them, on a 13-Day itinerary called India’s Golden Triangle and the Sacred Ganges. We’re really tempted but we need you guys to sign off on it. We’re both retired execs in Tempe, great physical shape, early sixties, prefer Colbert (so far) to Fallon. A – Don;t stop – Go. This is a lovely program that starts in Dehli, takes in the Taj Mahal in Agra, explores the pink city of Jaipur and see the wonder of the Ganges including Mother Theresa’s home in Kolkata and Vedic temples built by Hare Kirishnas (no not the ones from the airport). Yes, you will experience heat, pollution, some stench, and beggars. You will likely get some stomach issues during the trip. But the river, the mountains in the background, the colors, the sounds, and the humanity, make this a trip that is high on our list. Most visitors to India find the destination’s challenges to be well worth the effort. And we love the interior design of the new Voyager 11. As usual, Uniworld has done some interior design work that surpasses the minimalist design on so many river boat look-a-likes. We enthusiastically vote with your son. If, by the way, you are into photographer, this can be the most rewarding journey you’ve taken in recent years. IS RIVER CRUISING THE RIGHT OPTION FOR OUR FAMILY? 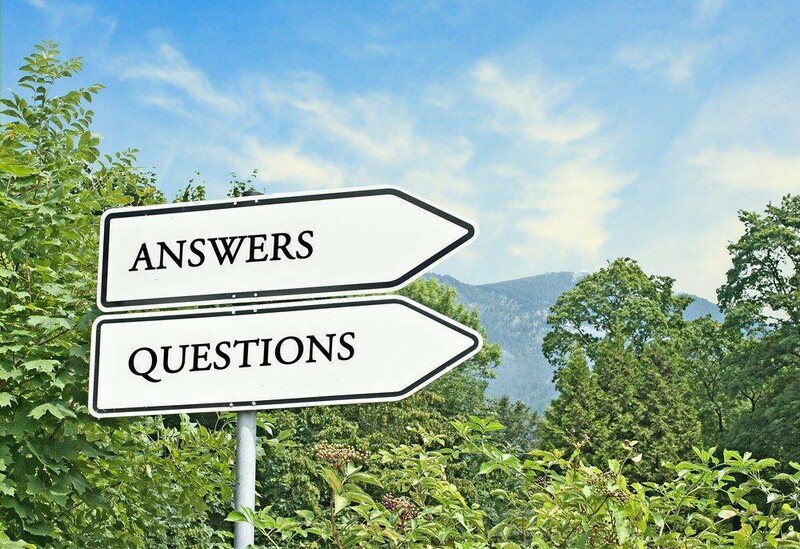 Q – Hoping you could help me with an initial question re; river boat feasibility before I explore this any further. My 85-year-old mother would like to participate in a river boat trip -Danube/Rhine, with her three able-bodies spouses children and their spouses. Mom is healthy except for her limited mobility. She can walk, but only for very short distances. She would be willing to use a wheelchair however, if one were provided for excursions. I want to know if this makes any sense to pursue or,perhaps, if we would be better off to just explore other travel options. Any help you could give us about this would be very much appreciated. A – Our first obligation is to “Mom”. This may be the last trip where she can gather the entire family and it needs to be perfect. On the basis of what you have described, we would urge you to avoid a river boat vacation. The river boats will not provide a wheelchair nor will they allow their crew to assist in handling the wheelchair on the gangway. They are concerned about litigation issues. River boats are designed to appeal to mobile adults including slow walkers. But young children or adults who require walkers or wheelchairs will be uncomfortable with the lack of facilities for those who may have special needs. Rather than try to get around all of this, you should concentrate your efforts looking for a small cruise ship with excellent facilities and a high level of guest services. They will permit your Mom to bring a folding wheelchair on-board and will generally assist at the pier etc. Since most of the Top Ten Rated Luxury lines (www.luxurycruiseratings.com) are inclusive, and come with significant discounts, you will find that the total value of cruises on oceans or on rivers is often quite compatible. 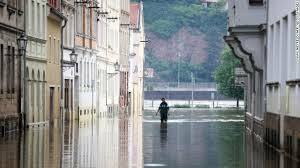 Q – Have read this information about water levels in Europe. Really wonder why yours is the only site to talk about this honestly? It sounds as though the Rhine has fewer problems because of the dams that have been built. So why don’t the folks along the way in Austria, Hungary, etc. just build more dams? A – The answer to your first question is that we do not take promotional money, free trips, marketing funds, or advertising to support our Media Group consumer sites. So we are free to be truthful. As to your main question: The small towns and cities that line Europe;s waterways are generally opposed to spending a great deal of money to pay for infrastructure that primarily benefits the river boat operators. Since sightseeing is always included ion any of the major river boats, it is felt that the local economies do not derive a great deal of financial gain from day visitors off the boats. So the real story is that the local residents along the waterways do not see the advantage of being taxed to replace infrastructure that has worked for them for hundreds of years but may be a bit of a hinderance to the river boat operators. 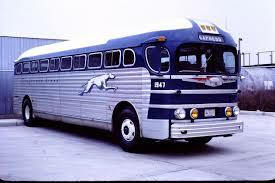 HOW GENEROUS WILL AMA BE IF OUR RIVER CRUISE BOAT TURNS INTO A GREYHOUND BUS? Q – This has really been eye-opening. We’ve been really excited about the AMA Waterways river cruise we booked for next August. We are doing their Legendary Danube itinerary, the one that gives you three nights in Prague. What happens if we arrive in Europe only to find that instead of a terrific time on the AMADante, we’ll be getting on a Greyhound bus. Will AMA give us advance notice and what kind of reimbursement can we expect for having our vacation pretty much destroyed? A – Your bus will be considerably nicer than the one pictured above. And the majority of guests on your cruise will end up praising river boat management for the way they reacted to water-level related itinerary changes. In fact, it would be highly unusual for you to remain off the boat for more than one or two nights. That said, here is what you can expect. Your final documents will go out about two and a half weeks prior to departure. No one at AMA will know what the water levels will be when you arrive in Europe. Should itinerary changes become necessary, your agent would likely be notified – but not always. At AMA, the policy is to reimburse you at a rate of 15% for each day of itinerary deviation in the form of a future credit. Every one of the lines in our ratings now embraces a policy of future credits for disrupted sailings. Of course, the issue is that many guests are not pleased with the way things are handled and they will never want to sail with the affected line again. So a future cruise credit is essentially useless, particularly since it cannot be used by a third party. To the best of our collective knowledge, all river boat companies are now using future cruise credits rather than cash reimbursement. It is fair to say that their corporate viewpoint is that, after all is said and done, water levels are not under their control and they are being generous to even offer future credits for water level issues. We do suggest that every potential river cruiser strongly consider our ratings. One of the major factors for a high rating on RBR is the manner in which problems are dealt with tot he guest’s satisfaction. We have found, over the years, that there are vast differences in the way that these lines react to emergencies or operational problems. Vast differences. When the skies are sunny and the water levels are ideal, you can have an excellent sailing experience on any of the lines we include in our reviews. The consumer has to think about how they might perform when everything is not ideal. WHERE CAN WE FIND ORGANIC FOOD ON THE OCEANS OR RIVERS? Q – We are only eating organic food. No sugar, grains or butter. Beef must be 100% grass fed, chicken must be organic and pasture raised (not cage free) Salmon must be wild Alaskan (Frozen is ok). I have contacted Silverseas and Regent but find they really do not accommodate organic. Do you know of any travel companies cruise lines or river cruises that we might check out. A – We are afraid not. The best we can come up with is to suggest that you bring home some of your favorite organic food, prepare it it in your kitchen, and turn on some old episodes of Love Boat. Here’s the problem. It’s a cost thing. The food purveyors who deliver to cruise lines and river boats are not able to stock organic products to be shipped in bulk. If they did, the cost would be astronomical. 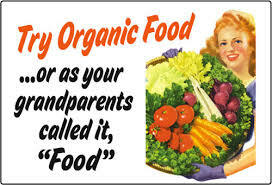 There are also some marketing implications inherent in offering organic food in large dining rooms. It would imply that the food the majority of guests are eating is substandard, something that the lines certainly would not do willingly. The closest you are going to get is a cruise or river boat chartered specifically for vegans. (Yes, we know that veganism and the organic movement are two different things) There is a company called Vegan River Cruises that is based in Munster, Germany that you may want to contact. Or, you might want to loosen up and start to really enjoy fine cuisine. And if you lose two or three years at the end, who really cares? The 90’s are just not that much fun from what we hear anecdotally. Finally, we should make mention of the serious liability any cruise or river boat company would be taking on if it claimed to have an organic menu. Mislabeling happens more often than we imagine. No one wants to be sued because the Salmon being served in the dining room was raised in New Jersey instead of Alaska. Q – My husband and I are looking for a mid-to-late August River Cruise. Preferably from Bucharest to Budapest. We’d like to spend some time in Prague pre or post cruise. Very confusing on best cruise that fits us. Can you assist? A – If you don;t mind, we are going to use your note as a bit of a “case study.” Ask any web site that claims to specialize in cruising this kind of question and they will get back to you with an immediate suggestion and some sort of “deal” if you give them your credit card right away. We do take on the most interesting of the potential clients who contact us. But there is no way that we are going to try to dazzle you with an immediate answer. There are many things we would need to know about you before making any serious recommendations. How old are you? How ell traveled? Have you cruised any of the world’s top ten rated cruise lines? Why have you selected this itinerary? What are your service and dining expectations? Do you want a top tier cabin (Many of them are sold out for the 2016 summer season on the better lines)? How are your walking skills? What is your “Sophistication Comfort Index”? Once we know the answers to these and other questions and we have had an opportunity to speak with our voices instead of our thumbs, we will begin to swiftly narrow down all of the options out there to the one that most closely fits your profile. And one thing you can count on – our recommendation will not be based on the commission level of the specific line. Other than that, you can count on one more thing: We will make every effort to talk you out of traveling to Europe in late August. Q – What security measures are in effect on the river cruise ships in light of the terror attacks happening in Europe and elsewhere? A – Not sure which terrorist attacks you refer to. It is far more likely you will be killed by a television set falling from the sky (off an apartment building roof) in the US than a terrorist attack in Europe. But the answer to your question is that river boats have security in place to determine who is and who is not boarding the boat. They use a room key id system. More importantly, while cruise ships are out at sea, a river cruise operates under local jurisdictional control. The local police and swat teams would be summoned immediately were there an incident. It would be misleading, however, to suggest that a highly-trained small security force is a part of your river boat crew. For the most part, security is handled, while in port, by staff with additional on-board responsibilities. We do not want to offer a cute response. This is a serious topic. But we like to look at statistics rather than FOX News headlines. The most dangerous part of any journey abroad is the ride to your departure airport. If you drive America’s roadways and live under America’s gun laws, your risk of being killed is significantly greater than the “risk” of traveling abroad on a river boat. WHICH RIVER BOAT LINE IS GOING TO BE BEST FOR MY HUSBAND GIVEN HIS PHYSICAL LIMITATIONS? Q – We are interested in spring or fall of 2016. My husband has health limitations, requiring extra rest. He may need to bring a Travel Scooter for taking city walks, or we’ll need to plan for a taxi. We need help in understanding which lines, trips, cabins would best suit us. We have not taken a river cruise previously, and found your website most helpful. We have both traveled in Europe many times. A – Thank you for your question. Given liability issues, you will want to work with a firm that specializes in handling cruises for those with some form of mobility issues. This is a very specialized field and river boats are not particularly well-suited to accommodating motor scooters. Crew is not usually allowed to help with lifting wheelchairs or scooters on or off the boat. We are not experts in this field and we would direct you to the experts at either Sage Traveling or Flying Wheels Travel. Generally speaking, we would suggest you look first at Scenic. Each of their boats has elevators and handicapped equipped cabins. Several of the AMA Waterways boats also have handicap access cabins. Despite the availability of these cabins, your request would still need to be presented to the legal department at each line to see if they are willing to assume liability. This may all seem rather harsh, but we want to be honest with you. River boats are not constructed to meet the same accessibility rules as hotels or cruise ships. LAST MINUTE RIVER CRUISE DEALS: HOW DO YOU SCORE THEM? Q – I would enjoy a themed cruise around wine and/or food, but my wife doesn’t care. Is there a possibility of reduced pricing if we waited for a last minute booking? A – No. 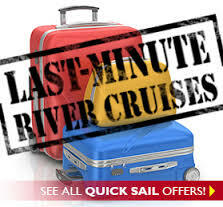 River boats offer their best rates to those who book earliest. They assume guests speak to one another about pricing matters and they realize that travel agents would be really upset with the line if clients came home saying there were people on the boat who received better pricing because they booked at the last minute. By giving those who book earliest a discount, the river boat companies are using a rationale that is easily understood by all concerned. The whole notion of last-minute space on river boats is often understood. The fleet generally goes out full. These lines have offices in several parts of the world and they have travel agents and travel writers they would love to have fill those available cabins. The fact is that so-called “last minute space” hardly ever exists. And if there are a few empty cabins, most of the sales and marketing executives we’ve spoken to feel it is better to sail with them empty than to create a potentially distressful situation for guests who booked at the appropriate time. 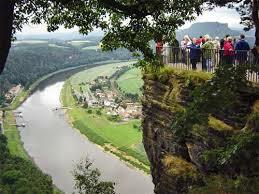 Q – Where the Elbe River is concerned trust me you signed up for a bus tour. Our Elbe River “non-cruise” was supposed to leave Prague on July 5th to meet our boat, the Alstrid, up river a small distance away. Since there was almost no water in the river what happened to our group was that we were taken by bus to Dresden where Viking used our ship as a floating hotel for 3 days. They later bussed us to another of their boats the Beyla, where we stayed for another 3 days. Viking then took us by buses to see the sights, some of these bus rides involved hours of riding on a bus to see a sight/s and then go back to the ship. It is my understanding that the port of Potsdam on the Elbe River was closed 3 weeks before our “non-cruise” was supposed to leave. Viking should have cancelled our trip then and there and given us a full refund rather that pretend in their email that we might be able to cruise. Viking needs cash flow even when the water doesn’t flow, perhaps that why we weren’t! offered the chance to cancel our trip. Fellow travelers I have checked the website http://riverboatratings.com/, Viking is ranked # 5 there. Of the 11 river cruise companies shown in the ratings apparently Viking is the only company that scheduled cruises on the Elbe River in 2015. In the fall of 2014 AMA Waterways, for example, cancelled their entire 2015 schedule on the Elbe River because of low water problems in 2014. AMA’s representative, Brandon, said that they don’t want to cancel any cruises because their aim is to give their customers first class service and cancelling cruises certainly isn’t giving first class service. I spoke to my attorney and passed on the concept of “Implied Contract”, he agreed that this was valid in this our situation. An Implied Contract is a legal term upheld by the US Supreme. Basically if a company says that they are going to do something for it’s customers then they are legally bound to follow though to make sure that it’s done. 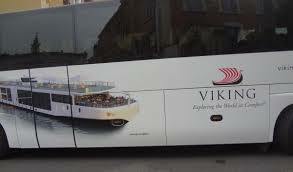 Just by the name, Viking River Cruise, the company is supposed to give us a river cruise. They did NOT deliver on their promise to give our group and many others a river cruise. Viking can’t control the low water levels, however, they can give full refunds when they know that there is also no chance of cruising the Elbe. Viking didn’t give all of us adequate notice so we could cancel our trip and get a full refund. Some people were already in Europe so they couldn’t have cancelled their non-cruise'” on the Elbe River since they were already on the continent. Other people in our group were never notified about the low water issue ! For the hundreds/thousands of Vikings non-cruisers on the Elbe River who were not properly compensated for not cruising you may file a complaint with the BBB. bbb.org/losangelessiliconvalley/business-rev… You will see that Viking has 48 complaints registered with the BBB over 3 years. I’d would guess that that is just the tip of the iceberg. On May 28, 2015 the Better Business Bureau Board of Directors revoked Viking’s accreditation. Viking is back now with their A+ grade. Everyone should know that companies pay the BBB to be listed. The slate has been wiped clean from just 3 months ago when Viking’s accreditation was revoked. Interesting. We have a group (46 people, who communicate daily via email) of us who have been inundating Viking with registered letters of complaint to the Chairman of Viking plus other senior executives, multiple emails and multiple calls to customer service. Don’t waste your time with emails, telephone calls and complaint letters to Viking. See suggestions below as to how you might get some response from Viking. So far they are stonewalling all of us hoping that we’ll just go away. Not a peep from Viking as to giving us a better offer than their standard offer of voucher for $ 1,000 per person for a future cruise, where they plan to make more money off of us. Viking has been advertising recently 2 for 1 cruising in 2016 plus $ 2,000 in vouchers to the general public, which is the same deal that they are offering our group of aggrieved customers. Does that sound fair ? My wife had never traveled to Europe before and had never been on a river cruise. She is still waiting for her first river cruise. For people who want to complain about Viking’s mishandling of their complaints I’d suggest filing a complaint with the Better Business Bureau (BBB). You may also complain on Viking’s Facebook page, subject to being banned from Viking’s Facebook page by Viking, that’s happened to one of our group. You may also send complaints to http://riverboatratings.com/ << this group doesn’t accept advertising so that they aren’t beholden to any river cruise company. I’m going to copy this post and send it to riverboatratings. The editor will probably respond to you. Check earlier posts here for a website to check water levels on the Elbe River. I’m sure that one of our German friends who have been providing us with great information on the Elbe can re-post that web address. If you ever hear from a Viking representative make sure that you get an agreement to your satisfaction. Lastly I think that all Viking employees should read this article in Inc. magazine about how to customer complaints. inc.com/matthew-swyers/8-steps-to-handle-cus… Best of luck getting Viking to come up with an acceptable agreement/settlement for you. Thanks for hearing me out. A – Thank you for your letter. Quite frankly, we receive a fairly high volume of complaints and we do not wish to become a site filled with postings by amateur critics whose real identity cannot be verified. Your note had enough specifics to ring true and there were serious water level issues on the Elbe in early July. What Viking did – turning your River Cruise into a partial Bus Tour when the river you were scheduled to sail was impassable, is standard industry practice and your letter could apply to virtually any of the major river boat lines. Viking’s failure to respond to you in a human, personal manner is not standard industry practice. We have been pursuing the issue of prior notification where water level issues in Europe will prevent passengers from enjoying the river boat vacation they think they will be receiving. We cannot find a single river boat operator, to date, that has an advanced warning policy in place that will allow guests to cancel their cruise on short notice due to river levels. That said, your travel agent should have known the Elbe was closed down and should have urged you, as we do with all European river boat clients, to carry the best available cancel for any reason insurance. If you have normal insurance, the “Act of God” provisions will serve to provide the river boat operator with an escape from liability. Your comments that the public gets the same offer, 2-1 cruising in 2016 plus $2,000 in vouchers, that was offered to you int he form of two $1,000 offers. That is not true. Viking River has always had early booking discount offers in place. Their brochure prices are high enough to accommodate two-for-one pricing. It is a marketing ploy that many cruise lines and river boat companies use. It is, of course, a phony offer, since virtually no one pays the list price. But your goodwill vouchers are on top of any current offer. So it is a real offer. Offering vouchers for future cruises is standard industry practice on virtually all of the lines. We are not certain that your attorney is correct. But we are not law school graduates so who knows what the courts would rule. But we want to share our opinion that every river boat brochure makes it extremely clear that bus tours may be substituted for portions of a river cruise when uncontrollable weather conditions make passage by ship possible. Every cruise line and river boat company has those clauses in their contract of passage. Unfortunately, few travelers read them and even fewer travel agents take the time to discuss this aspect of “risk”. And that is what it is. When you book a river boat cruise you do run the risk of it not operating as described for any number of operational reasons outside the control of the river boat operator. Don;t think this is unique to Viking. The very top-rated lines substitute bus touring and hotels for the river boat experience when conditions make that necessary. The money issue troubles us as you seem to have a lack of clarity on what the benefits were with a group of 46 travelers. You did not get the same offer as others who booked your scheduled cruise. As part of the group contract your travel consultant signed, you would have received at least three complimentary cruises for a group of that size. That adds up to well over $10,000 in free passage. Normally that money is pro-rated among members of the group giving them a further discount. Or, instead, it may have been used to provide free cabins for the leaders of the group. We do sympathize with your position and we feel particularly touched by this kind of experience for your wife’s first trip to Europe. But let us suggest that your group has gone about this in exactly the wrong way, guaranteeing a non-response from Viking which, based on your legal threats, will now stand behind its contract and brochure. Your travel consultant earned, by our calculation, a minimum of $30,000 for this group. You should not be dealing with Viking River or wasting your time sending letters to its Executives. Your travel consultant should be fighting this battle on your behalf with the sales department and her contacts at Viking. Your consultant has likely done many other groups and represents some substantial revenue for Viking. The negotiation as to compensation for the group should have taken place quietly, behind closed doors, so that Viking could have an opportunity to service your agent and make certain that the agency did not lose your business. Your agent would have pointed out that the group is “media savvy” and that some offer should be made to “avoid airing this in public in forums and elsewhere.” That’s the way to get things done. You have placed Viking in a position where their back is against the wall. Your letter makes us wonder what your consultant has done for their $30,000 + commission? Finally, let us restate one of our fundamental travel rules for river boat consumers. All of these lines have lovely brochures. Their ships are essentially the same size and they all sail the same rivers. They all use the same gene pool of guides and they can only offer tours based on what is offered by the local tour operator in town with whom they have a contract. You can have an enjoyable, in fact excellent, experience on Europe’s waterways. When everything is going well there is nothing better and you can have a truly memorable vacation on any of the lines reviewed on our site. But our ratings include a key component that is totally unknown to the consumer. One of the most important measures our ship inspectors and evaluators measure is the manner in which a river boat company reacts when things do not go perfectly. And we can promise you, there are vast differences in this regard. That is one of the primary reasons some lines score much higher than others in our ratings. Include this consideration next time you choose a river boat or cruise line. Ask your travel consultant how the company you are considering has handled past issues involving high percentage guest dissatisfaction based on the inability to operate as scheduled. We know you feel this is a Viking problem. We wish it was. Viking is, by a wide margin, the world’s largest river boat operator. You are always going to see more complaints aimed at Viking than any other line. That is to be expected. You are also going to see Viking named “World’s Best …….” in various magazine reader polls since they have the largest number of past guests, most of whom rate their river boat experience quite highly. That is why the cruise or river boat consumer should never pay attention to Reader Polls. Clearly someone failed to notify your group properly. Unfortunately, the Elbe is well known to have some low bridges and water level issues. June and July, seem to produce the most cancellations. . Several other lines experienced disruptions. Please do let us know the outcome. We apologize to our readers for the length of this response but we felt that, in this case, it was necessary. HOW EXPENSIVE WILL CRYSTAL RIVER BOATS BE? Q – We are intrigued and excited about the new Crystal river boats. But before we get too carried away, please let us know about the prices for the new boats. They sound expensive. A – It is common in the cruise and river boat industry to do what is called a “soft PR Campaign” releasing small bits of relevant information for maximum press impact. We won’t have any specific pricing for the Crystal product for several months but we are anticipating a 20-30% higher per diem than their closest rivals. The product will be very inclusive and the staff to guest ratio will be the highest in the industry. The standard cabins will be larger than their competitors and they will have some large suites. We certainly think that pricing for this product could come in at $500 per person per day for an entry-level cabin. Crystal River Yachts will not be allowing their competitors to have too much advance notice concerning pricing so it cannot be used against them. Crystal Cruise per diems, by comparison, currently range from $450 – $800 per person, per day. Bottom Line: We expect they will be the most expensive option on Europe’s rivers but also one of the most inclusive. They may also be the best. We’ve obtained a picture of the prototype being launched at the yard in Germany. Q – Hi! My mom (75), daughter (14 by next summer) and I are planning to travel to Europe next summer. We are hoping to make a river cruise part of our European tour. I have been trying to research and sort through many tips and reviews and the limitations with 3 traveling together. I am ready for some help! My mom and I have been to Europe several times, but never on a river cruise. We want it to be nice of course, but do not need super fancy, thus hoping too to save some money. I have been looking at the Rhone river since it is an area that we have not been, and we have contacts along the Rhine to visit later on our trip. Croisi does not seem to score very high, but seems like it might offer something that will work for us? We were specifically looking at The Carmague and The Gateway to Provence (7 days – package without transfer). Also, we are not interested in being transported back to our original destination. Can we save money on any of the tour companies by not ! 01 – Crosi is a well-known European budget line that we would not represent. A better option might be Emerald Waterways which is the low-cost affiliate of Australian-owned Scenic, one of our highest-rated river boat lines. But if you would like our advice it would be to sail on a line like Avalon or Uniworld or, of course Viking. You will have a better overall experience. We’d rather see you in the least expensive cabin on the best line than a nice mid-range cabin on a line that appeals primarily to budget travelers. You are most likely looking at cost differences in the hundreds rather than thousands of dollars. Remember to use our per diem cost formula. 02 – The Gateway to Provence itinerary is a personal favorite of ours. We think you are on the right river path. 03 – If you disembark your cruise before it reaches its final port, you will need to have your travel consultant prepare special paperwork to secure the line’s permission (it should be granted) But don;t expect any refund for unused days. There is no way your unused cabin can be re-sold. Really hope this is helpful. ANY ROOM FOR TODDLERS ON THESE RIVER BOATS? Q – Hello. My family and I are interested in taking a river boat vacation in Europe (May 2016). I will be traveling with my husband and a toddler (who will be shy of 2 years old by the time of cruising), as well as two sets of grandparents. I am looking for a family friendly, but sophisticated (if one exists) line. My husband and I have been on the Paul Gauguin and the Aranui, and greatly preferred the latter (to give you a basis of our travel preferences). We have also used the Holland America line and disliked it immensely. We mostly prefer self-guided adventures but feel that a river boat cruise would be best for an extended family vacation. 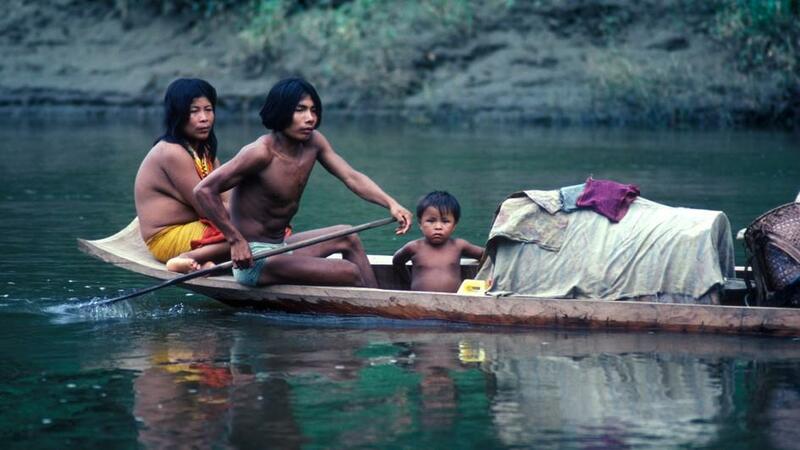 A – River boats are small and, given the target audience, it is safe to say that toddlers are not welcome. In fact, they are not allowed on-board. Tauck allows children 6 or older on their river boat itineraries. If it is a special Bridges family sailing then 3 years of age is the youngest allowed. AmaWaterways and Uniworld require children to be at least 4 years of age. Even if allowed on-board, parents will need to endure glances and outright glares from some of the other guests. Riverboats are intentionally designed to discourage children by severely restricting the number of accommodations that will accommodate tykes. They claim it is an insurance thing but we think it has a lot more to do with an older clientele that feels that small children will detract from the calm on-board. Based on some of the river boats we’ve sailed, young kids running around the ship screaming would be a major upgrade of the current quality of the evening entertainment. We would strongly suggest that you delay, not forget, your plans to do a river cruise and, instead, do a Disney Adventure that will include a cruising component. SHOULD WE TRAVEL TAUCK OR WAIT FOR CRYSTAL? 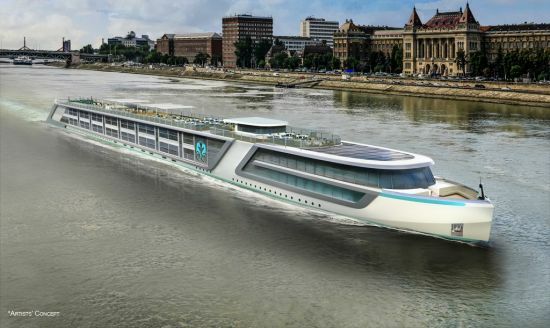 Q – We were really surprised to read your announcement regarding Crystal’s new River Boat Brand set to sail in 2017. As Boomers who are still working, I suppose we’re in a position to wait for Crystal to do our first river boat cruise. The question is should we? We appreciate find food and service, we’re not snobs, but we love the way Mandarin Oriental and the Four Seasons brands treat us when we use their properties. We’ve cruised Silverseas but never a river boat . Tauck sounds amazing and we’ve learned so many things on this site. But it would be great if you would tell us if we should go with Tauck in 2016 or put it off a year? We love the best products that don’t nickel and dime you for everything. We’re foodies and a lot more interested in local life than we are in ancient history lectures. If you don’t want to commit to a recommendation we’ll understand. Who knows if this new Crystal line will be any good? A – They will be known as the Crystal River Yachts and they will be excellent. You can take that to the bank. Not perfect, not at the beginning, but these people understand luxury and they are not entering river boating to be second best. Their target customer is the upper 2% of affluent travelers. Given your profile, and the fact that you do not need to travel in 2016, we would recommend that you strongly consider waiting for Crystal to launch in 2017. Actually, you won’t be waiting very long. The books will open on December 1st, 2015 and we would highly recommend that you call us that morning or as soon afterwards as you can. We expect the prime season sailings to sell out in the first 72 hours. 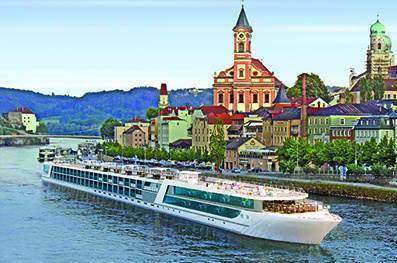 Q – We are booked on a cruise on AMA Waterways that departs from Passau. We will be doing some traveling in Europe before jumping on the boat and we arrive at the Munich Airport the day we are to board. I was wondering how we might get to the ship from the airport without using a private driver etc. We really enjoy making independent arrangements using public transportation. We will only be carrying large backpacks with our clothes and things, so no luggage issues. We travel light and we’re really casual folks. A – If you are planning on doing a one week river cruise on AMA, one of the top lines, you will be embarrassed if you are not properly dressed. We are amazed that you think you should board a luxury product that is fairly sophisticated with only a backpack. Could we convince you to change your cruise to something offered by Amtrak? You can take a public bus from the Munich airport (Bus 635) to Freising train station (2.40 Euro single ticket) and then take the regional train regional train from Freising station to Vilshofen station.The train runs app. every hour with the bus leaving at 15 min past the hour from Terminal 2. The ride is about 2:10 h. The train station in Vilshofen is within walking distance to the Danube river. Good luck and condolences to the folks who will be sharing your dining table aboard your boat. IS THERE A RIVER BOAT FOR PEOPLE WHO COULD CARE LESS ABOUT GOURMET FOOD AND THE THINGS THAT GO WITH IT? Q – Thank yo u for your informative site. Very much appreciated. Background: My wife and I are interested in an Eastern European river boat cruise next year for our 35th anniversary, ideally in September or October 2016. We’ve been on one cruise (Princess Alaska cruise w/Denali) and I would not say we’re “cruise types.” But having traveled extensively this summer through multiple countries – in and out of Airbnb homes, on trains/off trains, bus rides, occasional hotels, etc. – the idea of one bed for ~10 – 14 days and the opportunity to visit several smaller towns and cities sounds great. Dilemma: Viking has 2 for 1 sales through August (Passage to Eastern Europe), Tauck has something similar, AMA, too, but some have a land portion, and some cruise lines include items that others don’t. We aren’t that price conscious, but, aren’t snobs about food, service, or amenities, either; pretty relaxed travelers who could manage independently in ports and/or go with the flow, too. Any recommendations would be very much appreciated. A – Forget about two-for-ones. 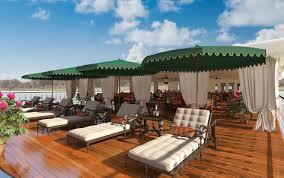 It is best to figure the per person cost without air or insurance for a French balcony cabin. Take the total price and divide by the number of nights aboard the boat to get a per diem. Always use this technique and you will never be duped by clever marketing discounts that turn out to be misleading at best. You are well traveled, a mainstream traveler, and you really are independent. You will have to pay for basic shore excursions as all of the better lines include them. For value and the level of quality you are seeking, we would recommend that you look first at Avalon. The company is operated by a low cost mega tour operator, Globus, and you will feel that you are receiving good value. It is not an inclusive line. Q – Last year, I booked an “Elegant Elbe” cruise for July 2015. Two days before flying to Prague, I received an email from Viking that the river was low and that our itinerary would be altered. They reported that we would have to move from one boat to its sister ship during the cruise. Neither boat moved from their moorings in Dresden and Wittenberg the entire time! We were transported by bus to the towns and attractions on our itinerary. The first day of the “cruise,” they combined two land excursions into a single day and took us out in sweltering heat. It was miserable. Viking has offered us a $1,000 voucher toward a future cruise. I think this is an insult, especially since I never intend to travel with them again. Since returning to the U.S., several of us passengers have contacted Viking to complain. Viking has attempted to ignore us and, when they have contacted some of us, they have tried to get them to sign non-disclosure agreements before negotiating any other form of compensation. Does this sound a little underhanded to you? While Viking cannot control the weather and water levels, they can certainly cancel journeys when they know the water levels will preclude any cruising! 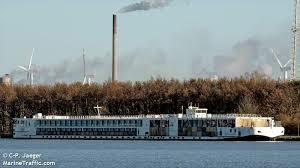 From what I have seen online, very few companies still cruise the Elbe River and virtually no Elbe cruises appear to have taken place this summer. If Viking had canceled this cruise, my trip insurance would have kicked in and covered both the cruise and my air fare. As it stands, I spent a tremendous amount of money for a cruise that never happened. Have you any advice? A – We feel your pain. You have been victimized by unanticipated weather patterns in the heart of the summer season. Understand that this was, legally speaking, an “Act of God.” Viking is out the money it spent on alternative arrangements and the total cost of all the $1,000 vouchers they offered. Your consultant should have pointed out that Europe has been experiencing serious heat alerts in July and August for the past three years. This will continue, if you believe in global warming. If you don’t believe in global warming, please move on to one of the user-generated fake review sites. Our advice is to never deal with a river cruise line yourself. You have no clout. Your agent should be fighting this battle. Your agent has much more clout than you do as an individual. This is particularly true if your agent is a member of one of the better consortium groups which gives Viking River millions of dollars annually. Before booking any river cruise, it is essential for consumers to discuss and verify that their consultant is on a first-name basis with the line’s top executives so, in cases like this, where something goes terribly wrong, there is a human being who can be contacted on a professional to professional basis. While we can’t fault Viking for unexpected river conditions, we wonder why your agent was not notified of conditions before you got on your flight to Europe. We also would prefer that your refund was in cash as it seems obvious you will not sail Viking again. Try not to get upset next time you are watching Public Television and those lovely Viking commercials run. Finally, just hang on, Trump says he is going to fix the river boat “problems”. ARE MORE RIVER BOATS BEING BUILT? IT SEEMS EVERYTHING GOOD IS SOLD OUT FOR THE YEAR. Q – We have been told by our agent that river boats sell out a year in advance. We can travel in September or early October but nothing we would want appears to be available. If there is a shortage of boats, why don’t they just build more? A – Construction involves paying in Euros and currency rates figure prominently in any new shipbuilding negotiations. Now that the dollar is quite strong against the Euro, we are seeing some major commitments from the river boat lines to significantly increase current capacity. Here is a fact that says it all: This year, 2015, the major cruise lines will launch a total of seven new cruise ships. At the same time, the major river lines will launch 41 new vessels this year. The implications of this fact are staggering. From our perspective, we are already seeing river boats having to tie-up to other boats in port because if a severe shortage of proper berthing facilities. . We are seeing major sites like the Abbey in Melk, inundated with visitors from the river cruise fleet. So we will soon be asking the question – “How much is too much” when it comes to Europe’s major waterways? It will be interesting to see if new river boat berth building can keep pace with the new arrivals. From reports we are seeing, we seriously doubt it. So, yes, they are building boats. But if they build them, will you come? SHOULD WE BOOK HAIMARK WITH FRIENDS? Q – We are getting a lot of pressure from our friends, Mel and Susan, to take something called a Haimark boat through Vantage Travel. Wondering if this sounds OK. Our friends are a bit more adventurous than we are. He’s an Orthopedic Surgeon who seems to want to be his own patient. He dives, he runs, and he pokes about the world, sometimes reluctantly dragging us along (I’m an attorney). This would be a trip to India and we wonder what your take might be of the overall product. It would be on the Voyager ship. Love the site – let me know if I can help if they ever come after you for telling it straight. A – This is a tough call. 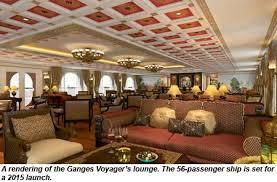 The ship is brand new and is called the Ganges Voyager. She has 28 Suites and Americans will most often book the full program through Vantage or APT River Cruises, companies that charter the vessel. Do the trip. The sites you will see, the smells, the otherworldliness of it all, far surpasses a river cruise through Central Europe. You will experience humanity and you will be traveling in a high level of comfort in suites that range from 260-400 square feet, among the largest on any river boat. But you will see incredible poverty and you will be afraid to eat in some of the places you visit. You may well get sick and, if you do, you will still think the trip was worth it all. One caveat. There are a number of countries we have designated as “High Satisfaction Risk” destinations. India is one of them. If you are thoroughly prepared you will love the trip but you must prepare yourself for encounters of a third world kind. When recommending travel to countries on our “High Risk” List, we normally do not recommend any but the very top outfitters such as Abercrombie & Kent, Cox & Kings, or Travcoa. We would prefer to see you int he hands of a major tour firm that has a substantial office presence in India. This is just not a place where you want to be dependent on a firm that uses subcontractors for guides and other local services. Our rule of thumb is that as a destination’s level of squalor and government corruption increases, so should the level of tour operator you use to go there..
IS RIVER CRUISING REALLY THAT GOOD? Q – We read your site after thinking we might take a river cruise. Our conclusion is that we would want to go with one of your top recommendations. Your site gives both the up and downside in a really refreshing way that we have not seen elsewhere. 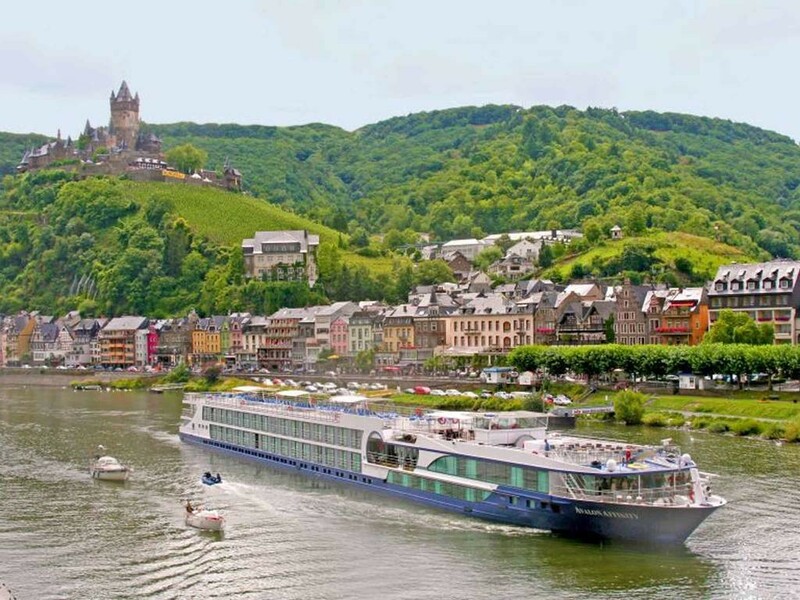 But given those downsides, how is river cruising as popular as it is what with the flooding issues, the just OK food, and limited shore excursion choices. Don’t take offense, but a really cynical person could conclude that riverboatratings is actually written by the mainstream cruise lines to point out the negatives in a river boat vacation? A – Oops – you caught us. This is really a cruise site masquerading as a river boat review site. How insightful of you. The only thing is if you read our sister site, www.luxurycruiseratings.com, you will see that we take the same approach with the cruise industry. A lack of knowledge and interest in other cultures, strict budget, no foreign language skills, not gourmets, and prefers package pricing. Yet, most travel advertising sells the dream of hassle-free luxury combined with romance and privacy in an unspoiled paradise. So there is the disconnect. They are trying to sell luxury to people who are unwilling to pay for it. River boats provide wonderful vacations as long as the consumer is informed about the product and knows what to expect minus the hype. There are dozens of river boat companies. We only review the top-rated among them. So, as a consumer, you might be wise to pick # 4 or # 5 on our list of the top lines. We hope that all visitors to our site will recognize that these are the best of the best – we’ve left off the really miserable options clogging up the rivers of Europe. The big question we think that any first-time river boater needs to ask is whether or not they might be better off on a small, five-star luxury cruise ship. It is important for travelers to understand the differences. For us, the value of being in the center of charming and culturally significant villages and towns in Europe at a reasonable cost with a choice of inclusive or non-inclusive services makes river cruising a good option for most travelers. As to your specifics; flooding is a statistical possibility. You pays your money and you takes your chances. The food can be good, it is often fresh from local markets, but it is rarely the stuff of Foodie legends. To that we say : “So What?” You can find excellent food in virtually any river boat port. Finally, yes, there are limited shore excursions. But you are in the center of someplace fascinating and many travelers just walk off their river boat and do their own thing. Some guests do walking or even hiking tours. Virtually all of the lines have bicycles available for the use of their guests. No need to do a bus tour unless you feel it is what you want to do. Don’t take our style, and occasional criticism, as negativity. If river boating was not a wonderful vacation option, we would not be devoting this much effort to this site. Except for the conspiracy theory part Mel Gibson, we really appreciate your question. Click for more answers to your questions from our team of industry experts.